Satellite packers are ideal for start-ups, rural routes and areas that can't accommodate full-size packers, such as residential areas with weight limits, parks, narrow alleys, etc. 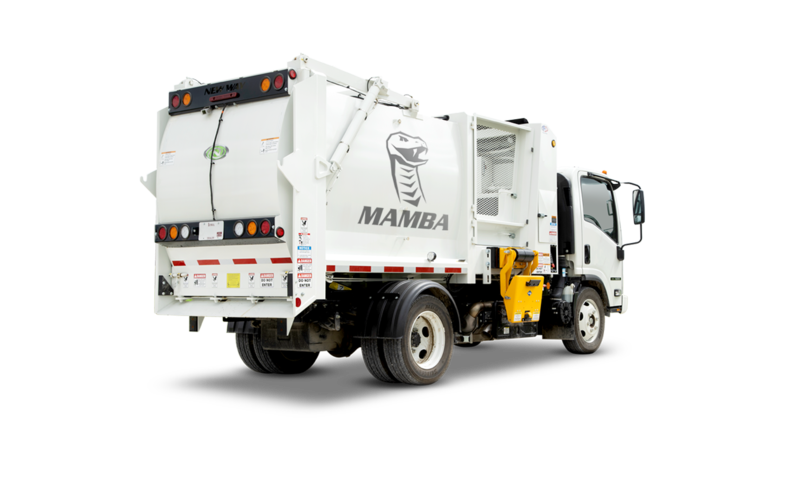 New Way’s Mamba is a garbage truck that packs power while also bringing versatility for these tight situations. The satellite lift option, available on the Mamba satellite side loader refuse truck, provides the flexibility to either dump the load on the ground or raise the box to empty into a larger, rear loader refuse truck. This enables the satellite side loader to keep tackling its route while the larger truck transports to the landfill. The Mamba also gives you the option to load from either side, giving you freedom and saving stress on tight routes.